Recommended Agency Register (RAR) helps brands choose a digital marketing agency, based on ratings left by clients. 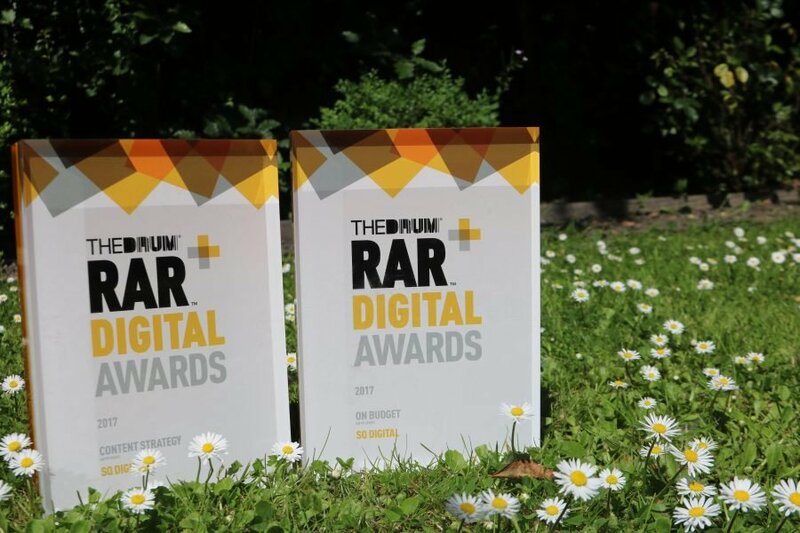 In the digital marketing world, the RAR Digital Awards are considered extremely important and prestigious. They are unique, in that all winners are chosen based on the highest ratings from clients. In order to win, one must have the best client ratings, of course! So, you can imagine how incredibly pleased we were to be nominated for 8 different categories (compared to 7 in 2016). At SQ Digital, we always strive to provide the best digital services to our clients and it’s clear our ‘customer first’ strategy is working. So, a massive thank you to everyone who nominated us and, ultimately, allowed us to win two big awards, to add to the one from last year! We were all very excited and grateful about the incredible 8 nominations SQ Digital received. An honour. It speaks volumes about the work we do and how seriously we take our customers’ satisfaction. And when I found out I was going to London to attend the RAR Digital Awards 2017, I was beyond ecstatic! This was an amazing opportunity and Katie and I sure made the most of it. Our train ride started uneventfully, but excitement grew as we neared London. I’d only been in the capital once, so to say I was thrilled to be back is an understatement. London was bustling, beautiful and brilliant. We still had time to walk around and see the sights. 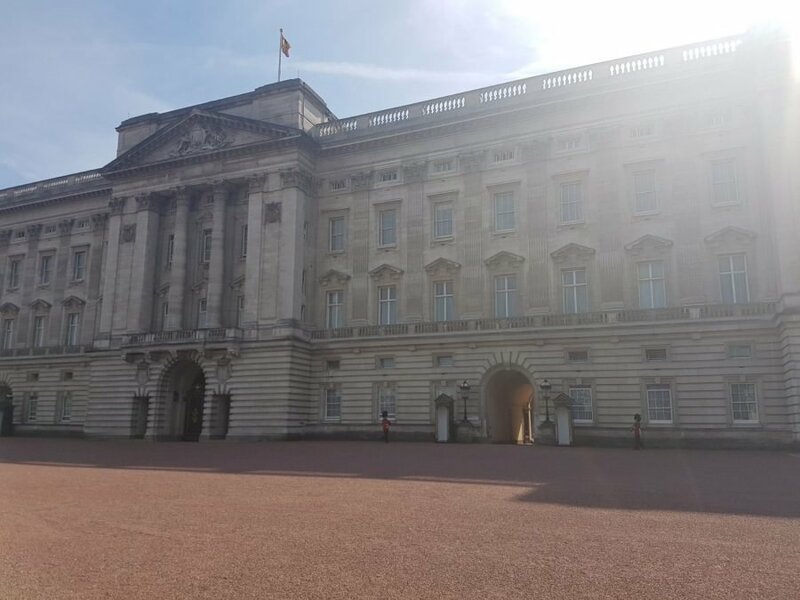 Seeing as we were so close to Hyde Park and Buckingham Palace, we took the chance to pop on over and try to get a glimpse of the Queen… of course, we didn’t see her. But we did see the National History Museum, the Royal Albert Hall, the Victoria and Albert Museum and the amazing Albert Monument. We had the opportunity to talk to our friendly neighbours from other agencies once we had sat down. We didn’t discuss business, especially because the atmosphere in the room wouldn’t allow it. Fun, jovial and informal conversation was more like it, and there was plenty of that to go around. Dinner was absolutely delicious as well and, combined with great wine, the night was already off to a cracking start! Part of the evening plan was a moment of entertainment, a comedian who had us all in stitches immediately. After this then came the moment everyone was waiting for: the announcement of the winners. Our 8 nominations were included in the 40-99 Staff category and every time one of these nominations came up and our name was read aloud, I felt anticipatory jitters. And every time was the same. The reading of the nominees and the announcement of the winner. So, when we reached the “Content Strategy/Creation” and the “On Budget” awards, and the nominees were called, SQ Digital included, anticipation built once again. … and the winner was SQ Digital! One always hopes to win, but every time they read the winner’s name and it was SQ Digital, I still felt a contrasting mixture of incredulity and elation. I still need to pinch myself – have we actually won? How shiny and amazing they look! And the great thing about having won the “Content Strategy/Creation” award is that I am a Content Marketing Executive. So, this award felt personal to me, I have to say! All in all, we had a fantastic evening and couldn’t be happier about our two wins. 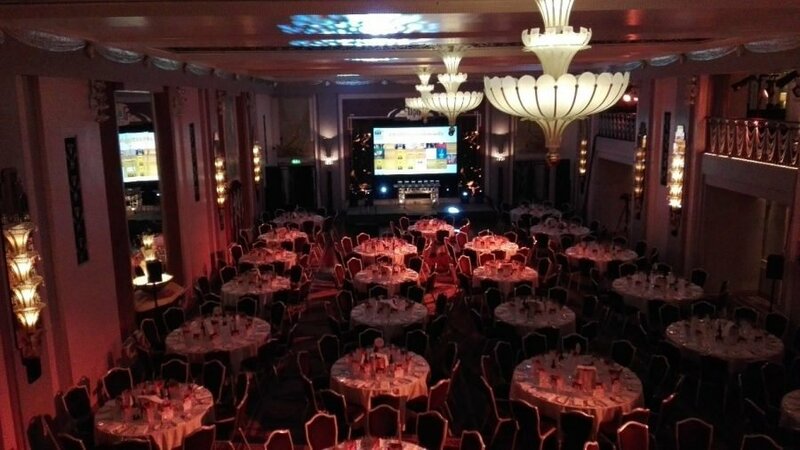 These awards are a fantastic recognition to the company and the content team and we’re extraordinarily grateful for all our clients’ recommendations and ratings. 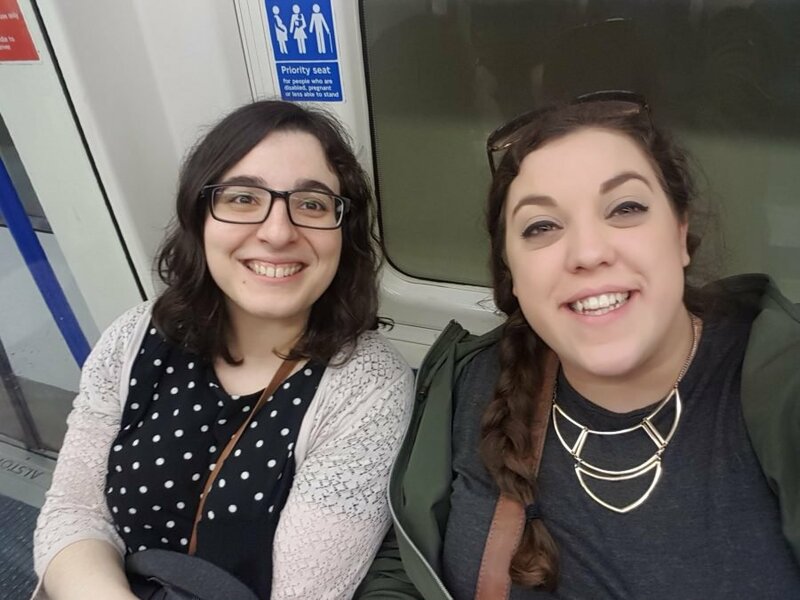 Having grown up in the south of the country, hopping on a train down to London felt a bit like going home ─ of course, who doesn’t feel at home stood outside the gates of Buckingham Palace? Teresa might think we got off to an uneventful start, but she wasn’t there to see the dramatic moment when I, just about to leave the office for the train station, realised that I had left my train tickets at home. With just 30 minutes until our train was due to arrive, I ran like I had never ran before to pick up my tickets from my coffee table where they sat, patiently waiting for me. Cut to three hours later and we had arrived in London where the sun was shining and the temperature was sitting a good few points higher than in our historic northern city of Lancaster. After a few hours of exploring and hoping that Prince Harry might just notice us stood outside the Palace gates (he must have been busy), it was nearly time to put on our glad rags and hop on a tube up to Hyde Park Corner before navigating our way to the impressive Sheraton Hotel. If you want to know the best way to celebrate my arrival into a room, take a leaf out of the Sheraton’s book. Trays of champagne-filled glasses greeted us and we were ushered into a room containing the cream of the digital marketing crop. The night was well and truly underway and it wasn’t long before we were seated, patiently awaiting our food, and the awards of course (but also the food). I won’t bore you with the details of just how delicious the food was – you’ll just have to take my word for it. The announcement of the awards began with much excitement and I was preparing myself for an Oscars-style moment, hoping that I wouldn’t end up recreating Jennifer Lawrence’s fall circa 2013 (and 2014, and 2015). We couldn’t have been happier to have won two awards, particularly the ‘Content Strategy/Creation’ award which felt like something of a personal victory for us Content Marketing Executives! 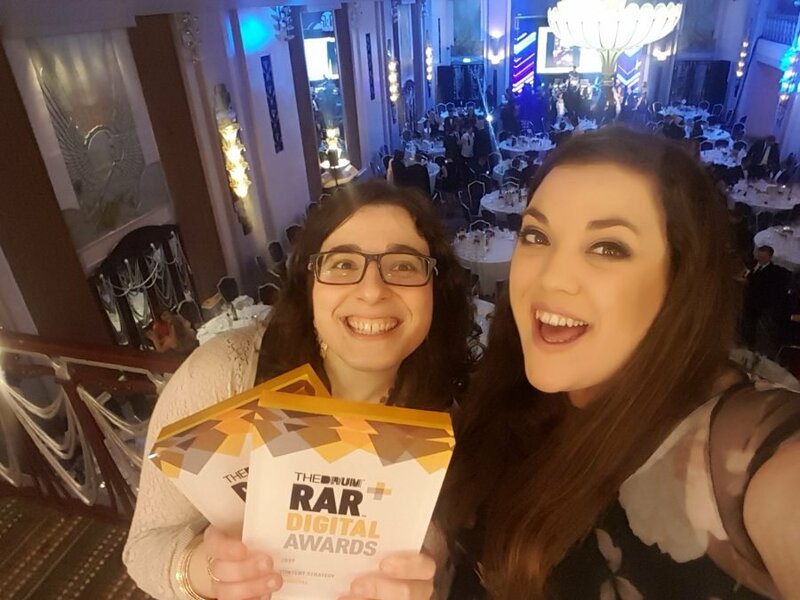 We had a fantastic night and were thrilled to be rubbing shoulders with other experts in the industry, many of whom got the great opportunity to strut their way up to the stage to pick up a snazzy RAR Digital Award, like us! Last year, we won one award, this year, we scooped two – who knows what 2018 will hold for us? We would love to get to know you too so, if you want to work with, or maybe even for an award-winning agency (that’d be us), make sure you talk to a member of our award-winning team! You can give us a buzz on 01524 58077, drop us an email at hello@sqdigital.co.uk or even pop into our offices on Church Street where you can admire our shiny new awards.